Being evil isn’t all fun and games in the Steam Early Access build of Dwelvers, which recently went to Kickstarter. According to the real-time strategy game by developer, Dancing Devils, evil requires some serious micro-managing and people, or um, minion skills? 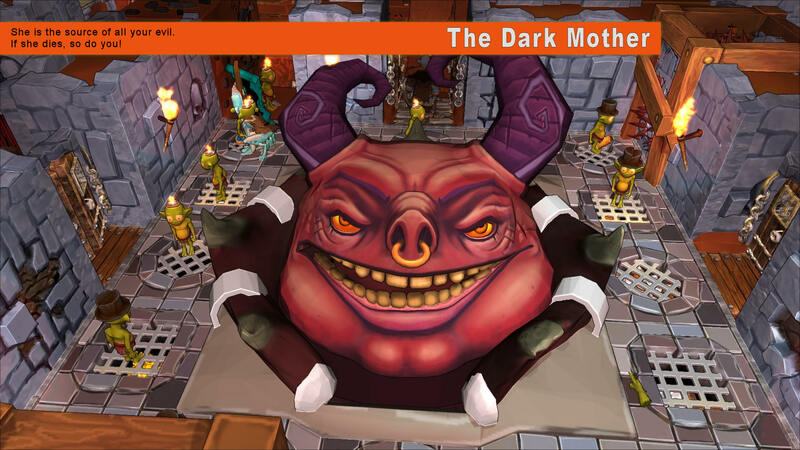 Harkening back to old school classics like Dungeon Keeper, Dwelvers casts the player in the role of a fledgling Dungeon Lord. At the heart of the dungeon lives the Dark Mother, a snarky, Ursala the sea witch, throwback who will berate and birth additional minions to rally to the cause. As Dungeon Lord, the player must dictate every aspect of dungeon life. This includes everything from constructing elaborate traps to protect against attacks, right down to farming and baking to keep the minions in beer and bread. Unhappy minions are unproductive minions and there is certainly plenty to keep them busy, filling out elaborate production chains to get the dungeon self sustained. Dwelvers is already available on Steam for $20, but based on my time with the demo, it appears the Alpha build is still too buggy to warrant the full price. Even so, the three years Dancing Devils has already spent on production has clearly paid off. The one-person studio has built a surprisingly complex underground economy sim with some hints of dark humor mixed in. The man behind Dancing Devils, Rasmus Ljunggren, (stop clicking spell-check, he’s Swedish) is very open about the challenges he faces as a one-man show. The Kickstarter goal of $37,755 (or 320,000 SEK) is partially being used to fund his living expenses so he can continue to work on Dwelvers full-time to create a more finished version over the next year. The concept behind Dwelvers is solid and the minions are cute. I’m also looking forward to the ability to send minions up to plunder villages for resources. Actually, having minions sounds pretty awesome, I might have to look into getting some. Track the progress of the Dwelvers Kickstarter in our Campaign Calendar.